Here is the meeting plan for March of 2015. Click on it to download and print. 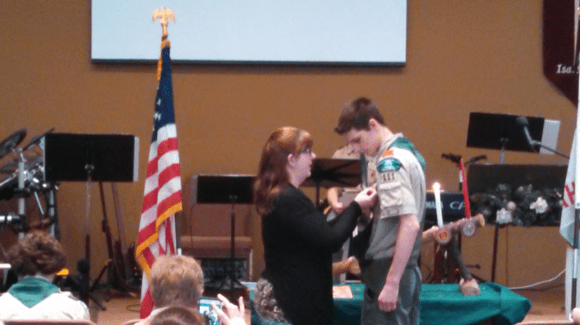 Daniel Jones’s Eagle Ceremony took place on January 4 2015. 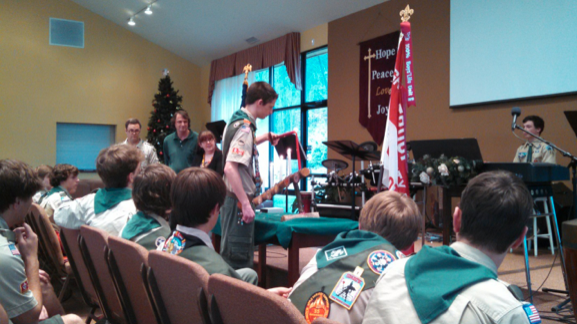 Boys, Assistant ScoutMasters and family attended. 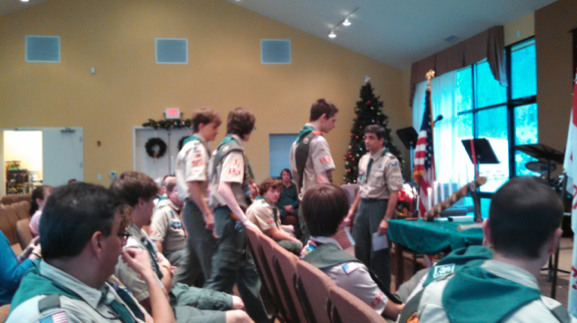 Humorous stories about Daniel as a scout were told. The ceremony was concluded with a delicious lunch. 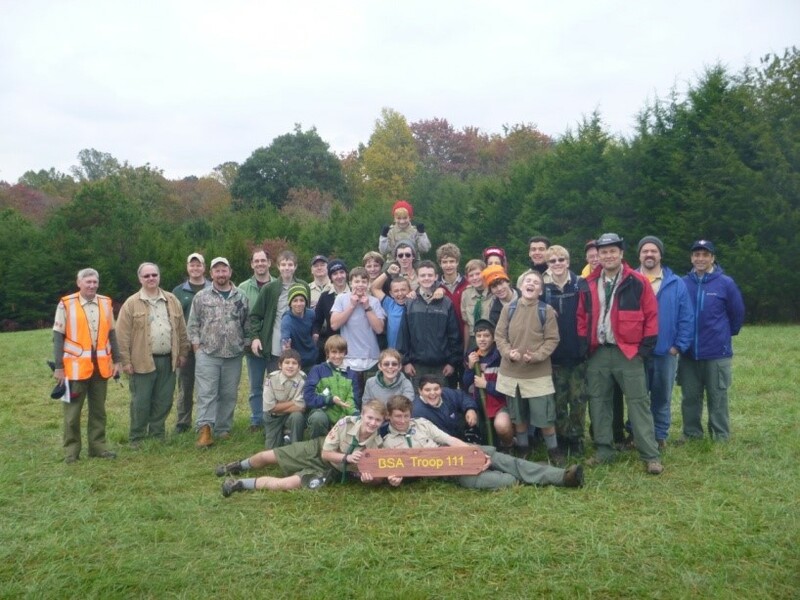 Troop 111 went to Farroll Farm in Afton Virginia for a cold camping trip. 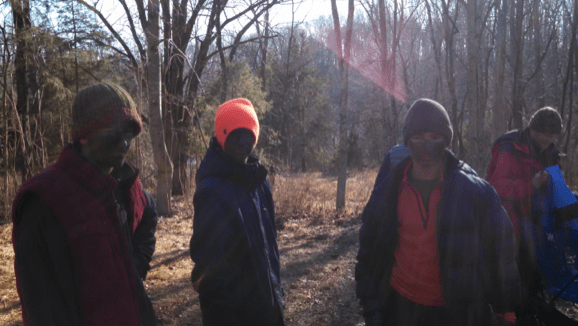 It started on Jan. 9, 2015 and ended on Jan. 11, 2015.We did many fun activities like Camouflage, Basket Weaving, Traps and snares, Ham Radio and Kin’s game. We also did a service project for the owner of the property by clearing bramble and putting rocks in the dam. 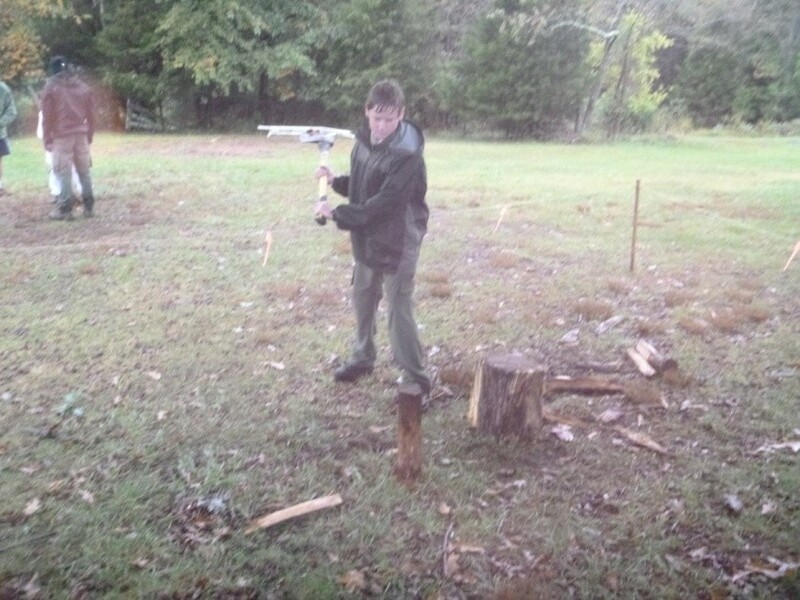 We had a lot of fun on the camping trip. Troop 111 will not be meeting tonight, February 17th, as a result of the weather. 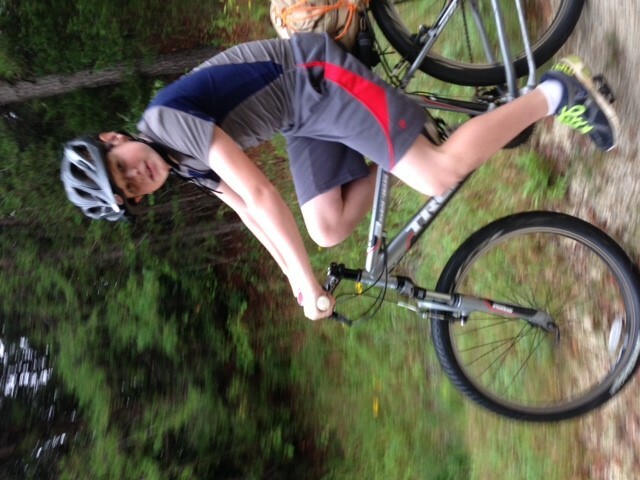 A while ago, The troop went biking at High Bridge trail State Park in Greene Bay, Virginia. 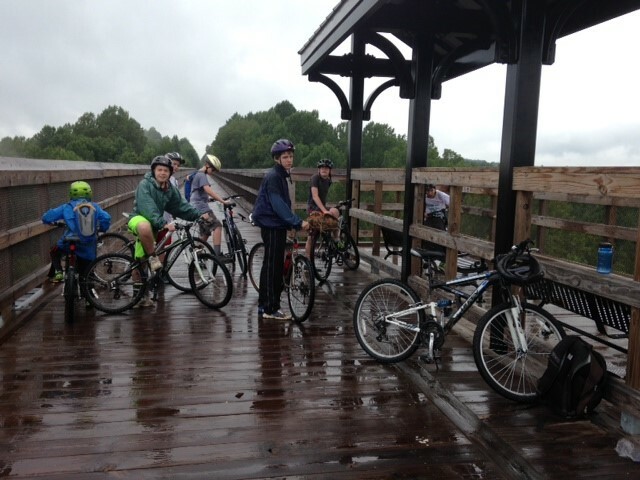 They rode 26 miles including over the 125ft high bridge, “High bridge” (2400ft long) over the Appomattox River. There were 9 adults and 16 boys on the trip. During the Civil War, the battle of High Bridge was one of the last battles before General Robert E. Lee surrendered. Here are the Troop Schedule and Goals for next month. Click on the Links to download. 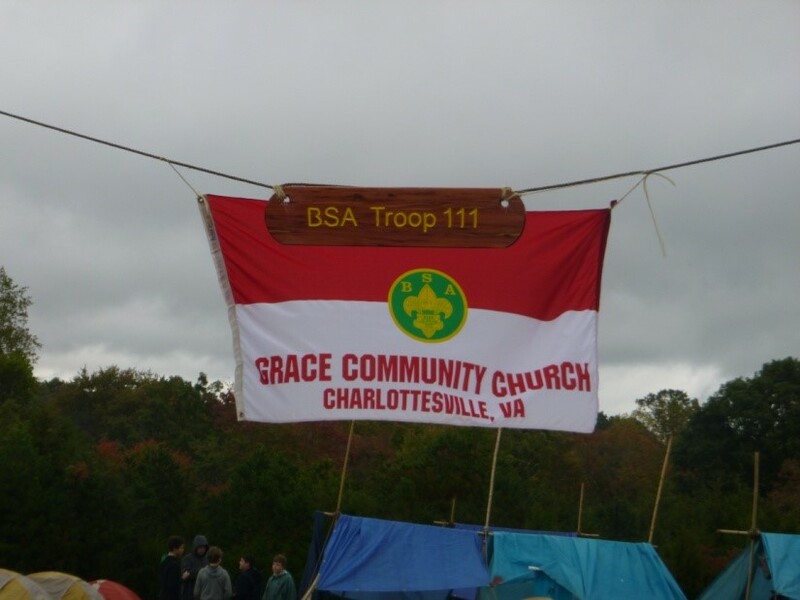 We recently went to the Apple Harvest Camporee. 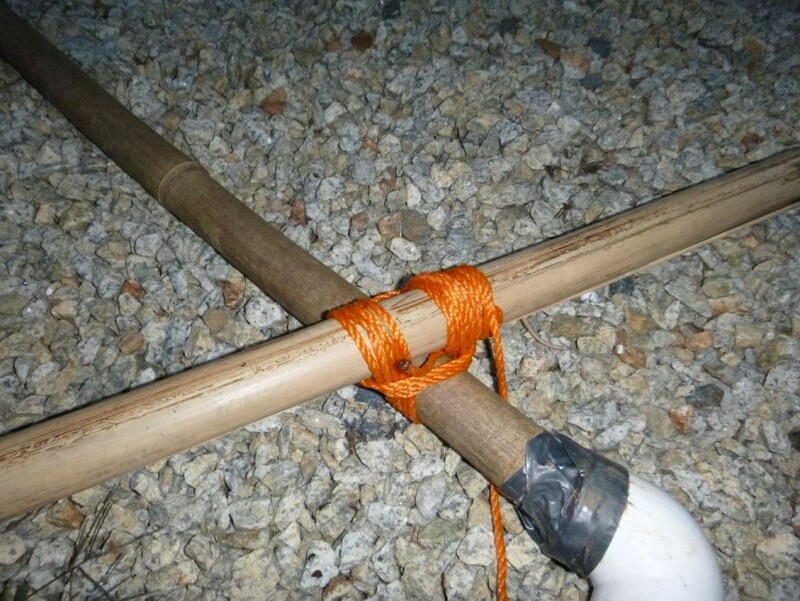 Before we went on the camping trip, each patrol had to build a travois to do a race. 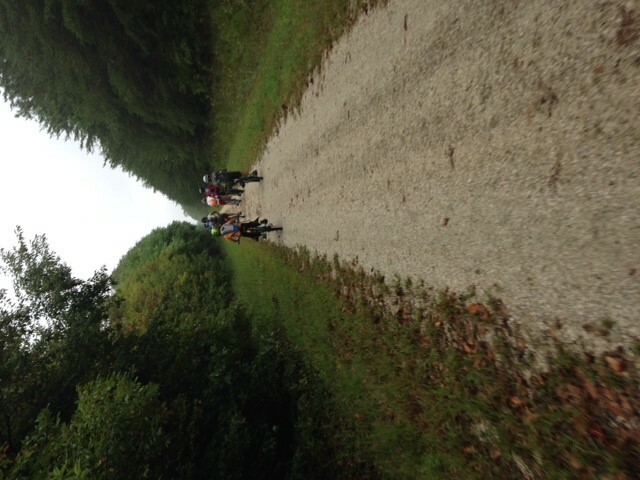 On Friday, October 10th we left from Charlottesville to Pleasant Grove, Palmyra, VA. When we got there Friday night, we set up camp. 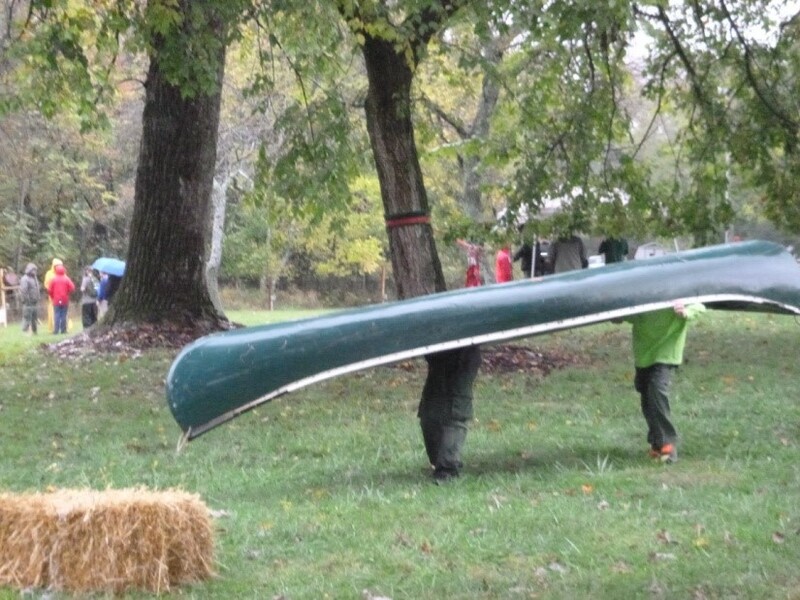 The next morning we ate breakfast and soon after went to different stations like Tomahawks, The Battering Ram, Giant Jenga, and River Crossing. There were also big events like the 5K trail run and cooking competitions. 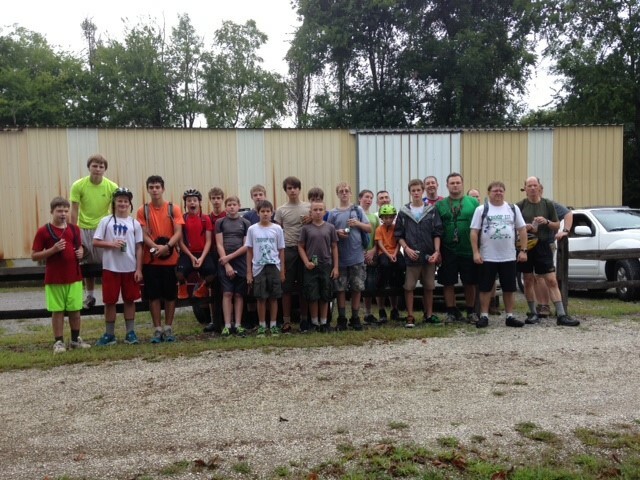 In addition to all that, we had eight Webelos from Pack 174 camp with us. 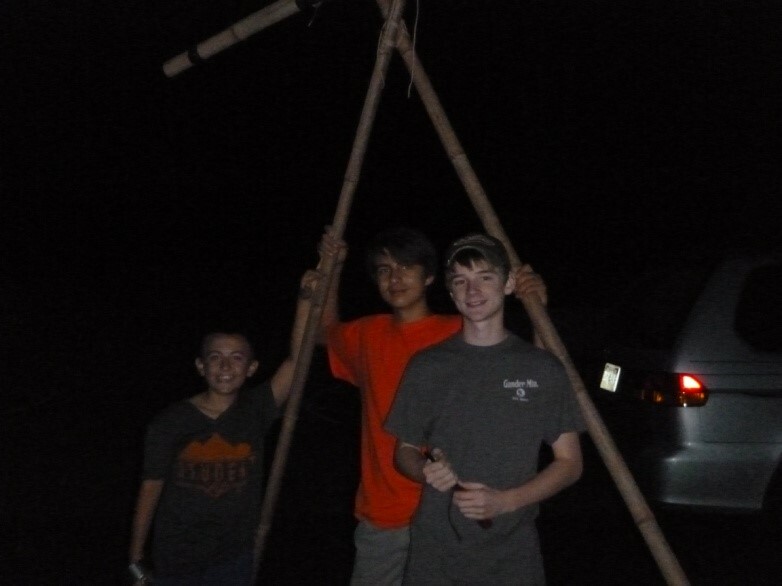 We fared well in camp wide competitions, the Flaming Arrows took home second place in the Travois Race, and Panthers took home first place in the Dutch Oven Dessert competition. Even though it rained most of the time, we still had a blast. 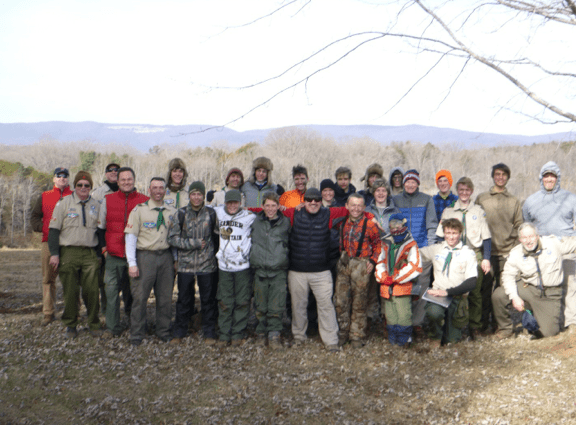 Troop 111 went to Camp Shenandoah on Friday the 21st through Sunday the 23rd in November to enhance scout skills. 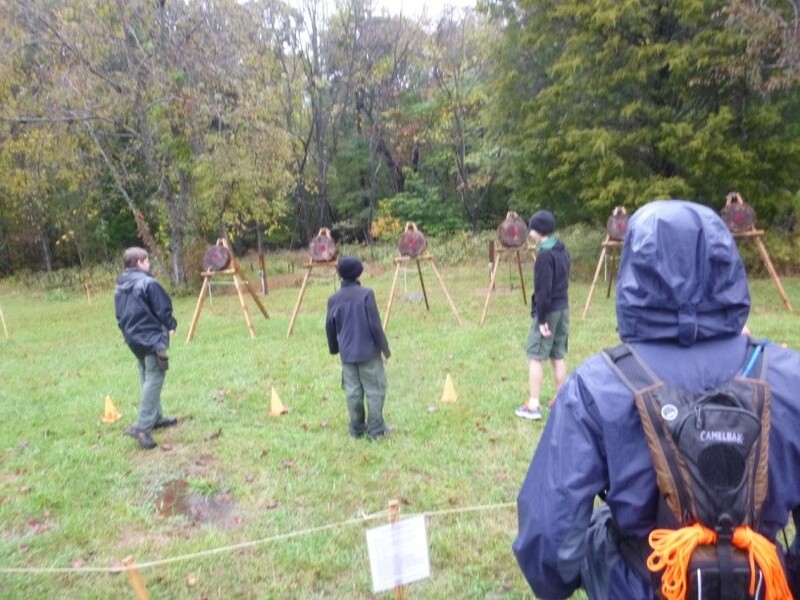 The skills were fire and shelter building, splitting wood and ax sharpening, ways to purify water, and helping younger scouts with rank advancements. We also had to cook our food only on a fire.